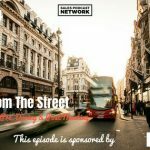 Home » TSE Podcast Post Page » TSE 912: What Should Sales Know About Inbound Leads? Inbound is a powerful tool for your organization. We all want inbound leads, but we have to work with our teams to make sure our company will be known by the people who are seeking our product or service. 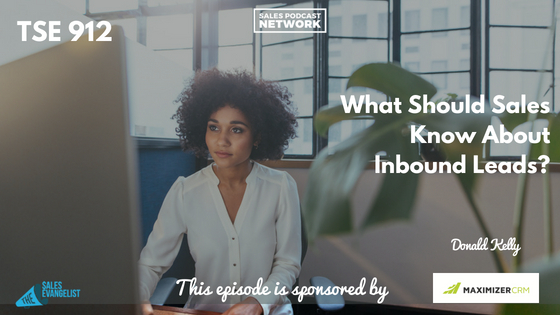 What should our sales team know about inbound leads? On today’s episode of The Sales Evangelist, we’ll talk about what inbound is, why it’s important, and how powerful it can be for your organization. Sales professionals who are capable marketers will be able to massively impact their own bottom line. HubSpot is the leading online site for inbound marketing, and it defines inbound as marketing focused on attracting customers through relevant and helpful content, and by adding value at every stage in a buyer’s journey. Inbound customers find you through channels like blogs, search engines, podcasts, and social media. So in a nutshell, inbound is where you set up the means to attract people to your website to digest your content. Many times, our customers fail to find our business because we don’t do enough preparation. We sit back and hope that someone will find us, or that we’ll get a referral. The goal is to provide education to our customers. In the opening of the show, I told you about Jan, who tasked her employee Dave with finding new financial software for their company. The existing software wasn’t working, and they needed a new option as quickly as possible. Dave started by Googling software, which was the beginning of his buyer’s journey. As an organization, do you have videos on your YouTube or Vimeo or wherever you host videos? Is there a way for your customers to find videos on your website? With HubSpot, the journey begins by attracting people who don’t know anything about you. In this case, Dave is trying to find accounting software, and perhaps you have a blog post on your website titled 10 Things to Know About Buying Accounting Software. Or even 5 Mistakes People Make When Buying Accounting Software. You must have a piece of content that will help your customer learn more about your product or service. You’re looking to educate your customer. 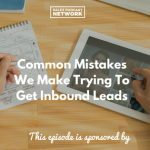 In the case of this podcast, a potential customer might search cold calling and find a podcast episode relevant to that topic. He’ll listen to the podcast and then perhaps reach out to me or download one of our assets. Our podcast attracts people to our product. The conversion state begins when they download something of value from your page. You may have a few emails that you send out which begins the nurturing process. Your sales team might even reach out to him to see if he has questions. Once they convert or close, you delight them so they’ll give you more referrals. Too many of us neglect the early part of the buyer’s journey: the attraction. In the attraction phase, you must think like the buyer. What are the top five questions Dave might have as he researches financial software? As the prospect gathers information, what will he discover? Buyers are doing incredible amounts of research before they come to the sales table. Your job is to educate them. If you find yourself worrying that they’ll buy someone else’s stuff even after you give them valuable information, you’re likely worrying too much. In the case of The Sales Evangelist, some people listen to my podcast without buying anything at all immediately. Two years later, they come back and purchase one of our programs or our trainings, but it likely wouldn’t have happened if I hadn’t provided information. Give your customers things that they need, and especially things they may not know that they need to know. You can use a video, a checklist, or social media. Give them education and relevant content. We’re launching a YouTube channel and our Instagram TV on October 1 so people can consume our content via video if they prefer. What challenges is your customer facing? What things does she need to know before she buys something? Attract the prospect. Give her a chance to come to you first. The person she connects with first will most likely be the one she buys from, so increase the odds that she’ll find you before she finds your competition. In the case of Dave, if you help him look good for his boss, he’ll likely come back and praise you and then send referrals your way. It’s a wonderful cycle. I share all this stuff with you because I want to help you find more ideals customers. I want you to build stronger value and close more deals. Most importantly, I want to challenge you to go out every single day and do big things.